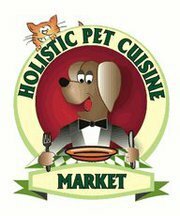 « At Holistic Pet Cuisine offer excellent quality foods for all your pets allergies. We work closely with a veterinarian here in Boca Raton. Holistic Pet Cuisine offers the highest quality in raw, dehydrated and freeze dried pet food. We are proud to announce that the new Honest Kitchen has arrived! 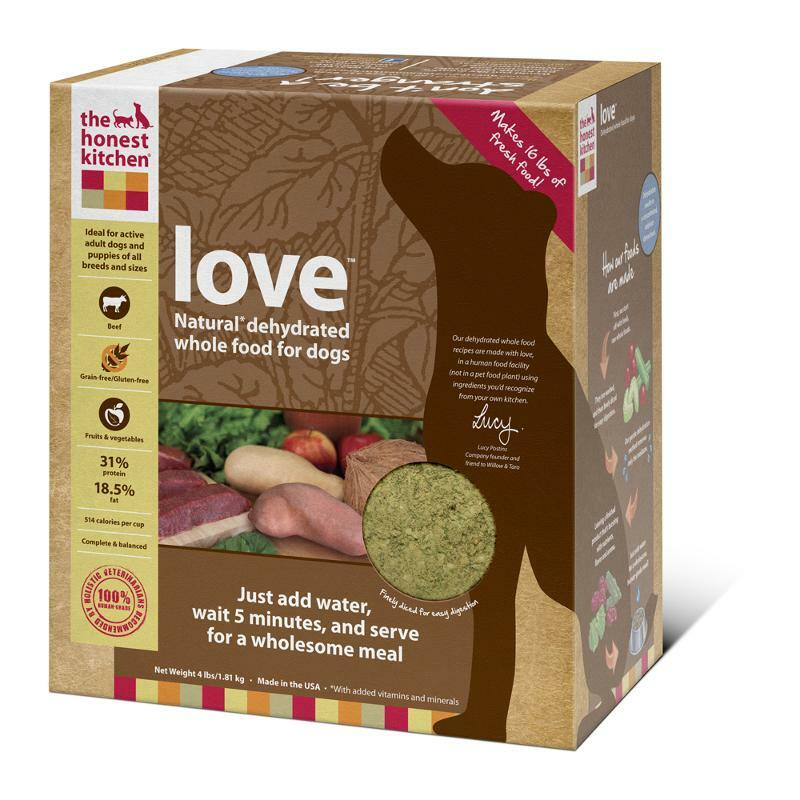 It has arrived at Holistic Pet Cuisine…We are the leaders in raw pet food and now we are so excited about a new product from Honest Kitchen called LOVE ! Finally a grain free dehydrated dog food that is Made in the USA and MADE WITH TRUE LOVE! Dehydrated grain-free & gluten-free dog food, all life stages. Dehydrated hormone-free beef, sweet potatoes, potatoes, organic flaxseed, organic coconut, parsley, dandelion greens, papaya, cranberries, pumpkin, honey, rosemary, tricalcium phosphate, choline chloride, zinc amino acid chelate, vitamin D3 supplement, vitamin E supplement, potassium iodide, potassium chloride, iron amino acid chelate, copper amino acid chelate. Love™ is our newest addition to our line of grain-free dog foods. It’s complete and balanced made with dehydrated hormone-free beef, vegetables, fruits and love. It’s ideal for puppies and active adult dogs, particularly those with food sensitivities to grains, gluten, eggs and those who need a low carbohydrate diet. Like all of our diets, Love is 100% human-grade, made in the USA, and does not contain corn, soy, rice, beet pulp or wheat. Just add water for a fresh, wholesome and human grade meal. New Honest Kitchen offers a new cat dehydrated as well for those cats with GRACE! Dehydrated grain-free & gluten-free cat food, adult maintenance. Dehydrated cage-free turkey, eggs, pumpkin, potatoes, parsley, dandelion greens, cranberries, rosemary, tricalcium phosphate, choline chloride, zinc amino acid chelate, vitamin D3 supplement, vitamin E supplement, potassium iodide, potassium chloride, iron amino acid chelate, copper amino acid chelate. 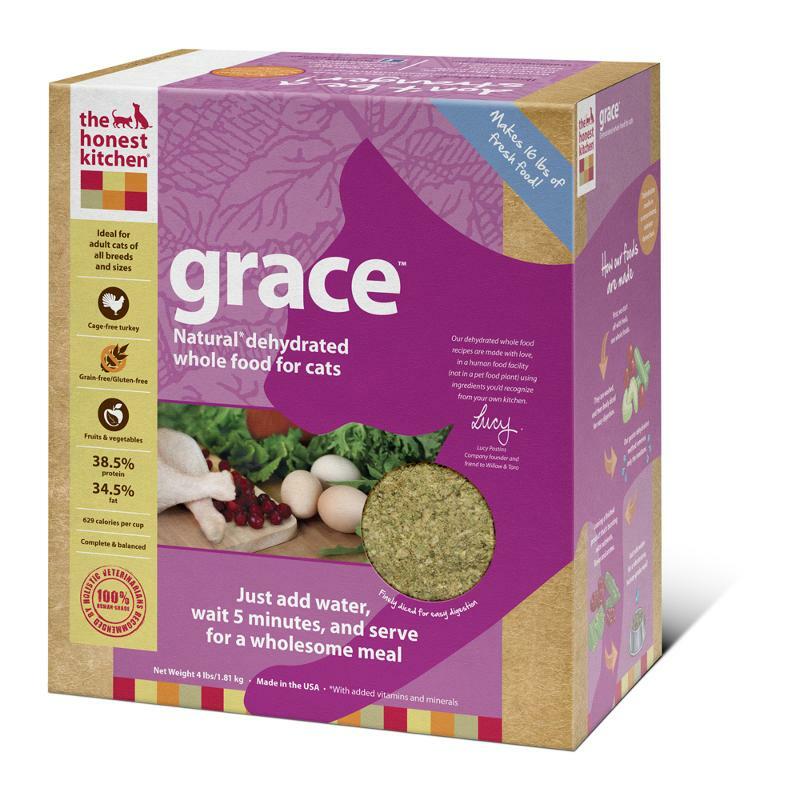 Grace™ is a complete and balanced dehydrated grain-free cat food made with dehydrated cage-free turkey, vegetables, fruits and love. It’s ideal for adult cats, particularly those with food sensitivities to grains and gluten. Grace™ is made with cage-free USDA turkey. Like all of our diets, it’s 100% human-grade, made in the USA, and does not contain corn, soy, rice, beet pulp or wheat. Just add water for a fresh, wholesome and human grade meal. We have samples for you to try before you buy! We have the largest selection of Honest Kitchen!